This hurricane season is expected to be below average with only 6-11 named storms and only 3-6 of them becoming hurricanes, but that doesn't mean it's not dangerous. In 1992 there were only seven named storms but one of those was Hurricane Andrew, which reached Category 5 status before devastating south Florida. ACE and Big "I" Markets don't want your clients to be unprepared. 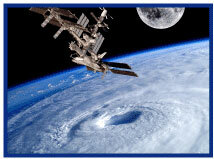 ACE has created hurricane preparedness and safety guides for the home as well as for boats. Plus this handy claims reporting guide for afterwards. InVEST, the insurance industry's premier classroom-to-career education program has launched a new website, www.investprogram.org, and a new interactive eBook. All resources continue to be free. The new website combines the two former InVEST sites and has three separate sections for InVEST's various audiences: students, teachers and insurance professionals who serve or want to serve as volunteers and speakers. Registered teachers can easily locate tools separated by topic and resources, including PowerPoint presentations, videos, quizzes and tests, lesson plans and class activities. Career Paths: In depth career section including salary estimates for various positions in the insurance industry and videos detailing each job. Personality Profile Test: Students can take a free Caliper test and the results will the results are used to provide an insurance career fit to provide more information about that career and what's needed to enter the field. Insurance in Real Life: Useful tips and facts regarding the various insurance coverages needed for different life events, such as going to college, buying a first car or starting a first job. Colleges and Training: An area for students to locate local colleges with insurance degree programs or find information on how to obtain an insurance license. Jobs and Internships: A listing of positions for students and entry-level talent. Scholarships: Information on eligibility and the application process for InVEST scholarships. Course Materials: Once students are logged in (active InVEST teachers can provide this information to their students), they can access the new interactive eBook directly from a computer or tablet. 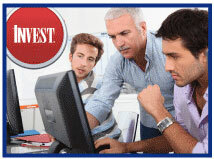 Learn more about how to become involved in InVEST at investprogram.org. 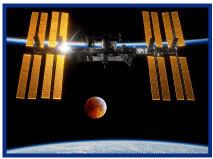 The International Space Station (ISS) is the largest artificial body in orbit. The first components were launched in 1998 and assemble in space. It has been continually occupied since November 2, 2000 with a maximum crew of 6. It is 239 feet long and 356 feet wide, mostly solar panels, and consists of two (Russian and American) linked segments. The modular design consists of 24 laboratories, airlocks, docking ports cargo bays, nodes, connecting adaptors, living quarters, and a cupola. There are also multiple solar arrays, heat radiators, external storage, remote controlled arms, and even a two armed robot named Dextre for making external repairs. The United States and Russia have committed to staying in the station to 2024. The Russians want to create a new station using modules from their section as the base. The beauty of a modular design is that individual pieces can operate separately, in small groups or in one large structure. Modules can be removed and replaced with a different one when no longer needed or the mission changes. 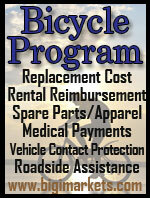 Travelers Wrap+ for Executive Liability for Private Companies works the same way. 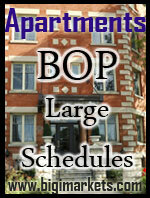 You can pick and choose the coverages your client needs and leave off what they don't. In the future you can add new or drop old coverage as needed. As part of your coverage, you receive access to Risk Management Plus+ Online®, a one-stop resource that provides a comprehensive set of tools to help protect your organization from costly litigation. To learn more, visit www.rmplusonline.com. Interested in learning flood marketing techniques? Participate in the "Oh, By the Way...Flood Sale" webinar presented by Big I Advantage® Marketing Director Ginny Pierson. Topics in the fast-paced 1 hour presentation include: Reasons to Sell Flood Insurance - Reasons Consumers Should Buy - Misconceptions by Agents & Consumers - Talking Points & Myth Busters - The Flood Risk - Flood Resources - Facts & Statistics. What "Line of Business" Pays the Most Commission? What "Line of Business" (or LOB) pays the most commission? By that you have to define "most." That is, is "Most" the "rate of commission" or "dollars?" Fortunately, the answer to both of these questions are simple to find. The United States insurance industry, as regulated by our state insurance departments, is one of the most transparent industries anywhere…in the world. You can see the answer below on either the basis of the highest percentage or the most dollars paid. As a student of insurance, you may wonder how is it these figures are so available? After all, can you get that figure for the commission paid on all Volkswagens or Fords? With our industry you would know it for Jetta vs. Escape. Why? Each year for over 100 years, insurers have filed increasingly detailed Annual Statements (also known as "Convention Blanks" or "Yellow Books") with their designated state authority. So specific, in fact, that those that fill them out used to call the "Yellow Peril" for the potential to make mistakes with the exacting rules. These statements are required to be on exact forms because regulators are very interested in the financial health of insurers and the profitability of the insurance sold. The commission figures above were taken from what is called the Insurance Expense Exhibit (or IEE) and it is but one many fields monitored on 35 LOBs. Did you notice I "snuck in" a sixth LOB? Federal Flood. I did that to make the point that if you are not getting a competitive commission, you should go to www.iiaba.net/flood. 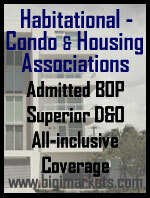 From there you can contact Selective Insurance Company, IIABA's endorsed provider of federal flood. 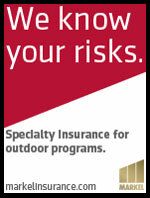 They are the ONLY insurer that provides direct support of the lobbying efforts on your behalf. You should support them and their systems and support will make you very happy you did. Congrats to our agent in Maryland on a Garage Pac sale of $4,014 in premium!